Vermont is one of my favorite places to visit. And if it weren't for their state's somewhat misguided socialist policies (currently driving out all the real jobs), I'd move there in a heartbeat. 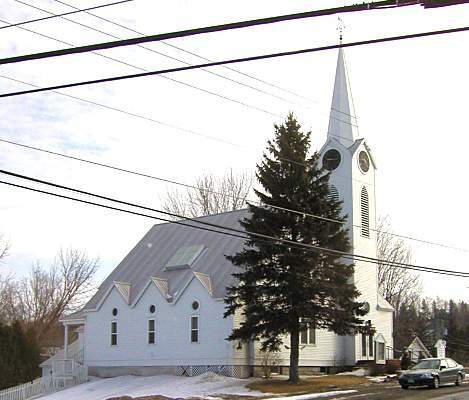 It doesn't matter that all the towns are modeled on the same New England theme---lots of green (it is the Green Mountain State, after all), small streets with one main thoroughfare, and, of course, the white church with the steeple you can see for miles around. 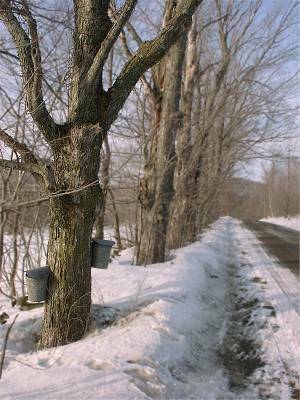 If you take Interstate 89 up into Vermont, you'll get a little bit of altitude, and you can look all around at these towns dotting the landscape, one after the other. Countryside? Spectacular. Hiking? Got that. Skiing? Yep, plenty of snow. Fall Foliage? Oh yeah. Where the hell do you think it comes from? 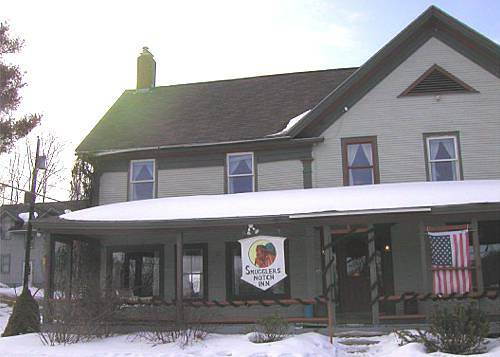 Our stay led us to Jeffersonville, VT, just a few miles from the Korb Estate. The main road in Jeffersonville---it's that strip on the right with no cars anywhere on it. 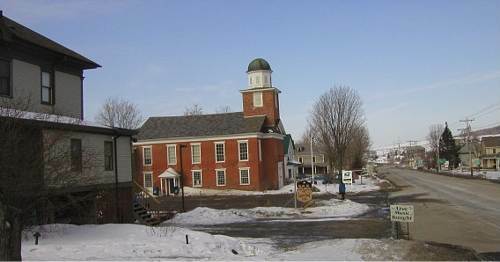 The red building is the town Post Office. The rooms are decent enough, but what they don't tell you is the townie bar is on the lower floor, and it's a happenin' place on Saturday nights. This means no sleep for anyone staying at the Inn. It would have been OK if the band that was trying to play "Reelin' in the Years" had ever heard of guitar tuners and voice lessons. They kept dragging out the ending and got a huge round of applause, so I imagine that all the people in there were completely plotzed. Unfortunately Ken and I weren't. We just wanted to get some shuteye. 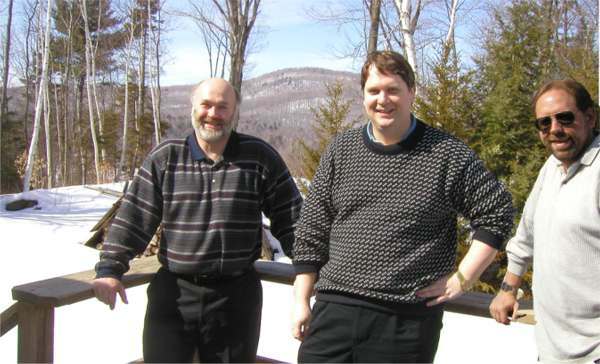 With ski season finishing up, Ken and I had the Inn pretty much to ourselves, which is somewhat astonishing, considering that in Vermont the ski season lasts longer than anywhere else in New England, with nice temperatures and plenty of snow that lasts for quite a while. 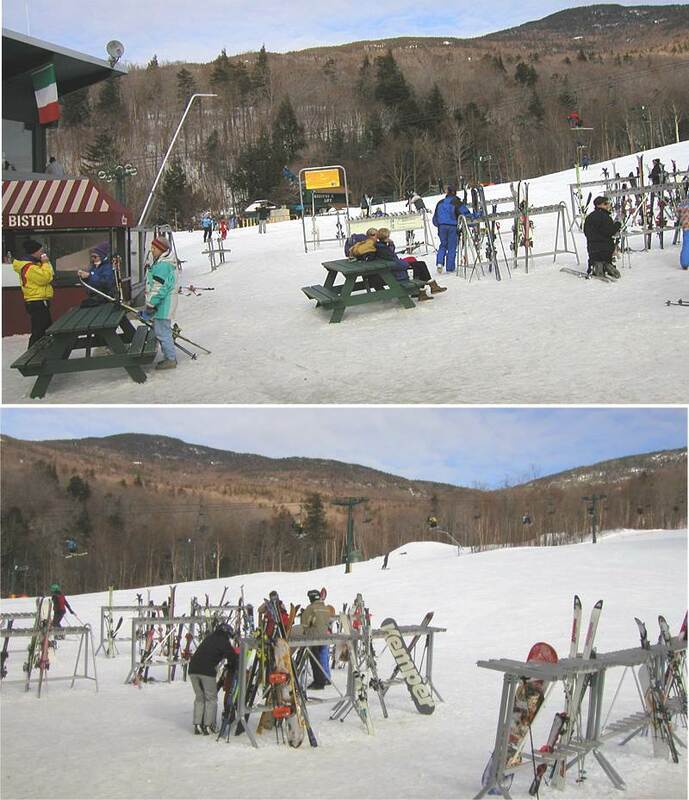 Your Webmaster runs a neat/fun/free Internet bulletin board for outdoor activities called Get Outdoors New England, so he's no stranger to snow. With that in mind, Jerry led us on a mini-tour of the Smuggler's Notch area. so we just ambled up the snowy road for a little while. 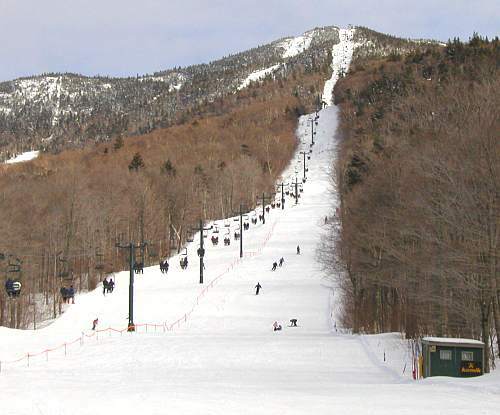 In addition to skiing, the Smuggler's Notch Ski Area has "Trail to Village" where We'll Be Seeing You. There is also a museum for accoutrements worn by a certain pop star--just follow the sign to "Madonna I & II Lifts". Hmmm...Is that her shoes? 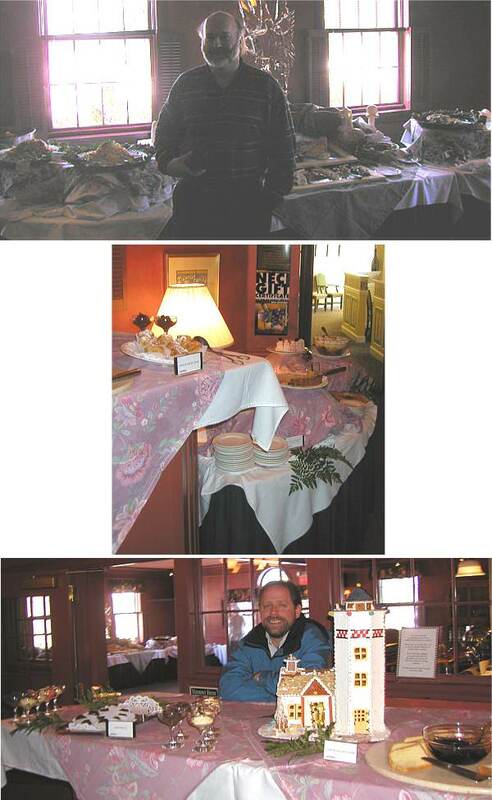 The New England Culinary Institute has a Sunday breakfast at Butler's at the Inn at Essex. OK, so $17 may be a bit pricey for just breakfast, but this is no ordinary breakfast. On the day we visited, there was a lighthouse made out of some kind of cookies or somesuch (to go along with the ice sculptures). Despite our growing appetites you can't help but stop and admire the handiwork, and even get a few photos. Then you head off to your table---through the Corridor of Desserts. For anyone on a diet, this is more like the Gauntlet of Desserts. The main area buffet area has nearly anything you want for breakfast and a good assortment of lunch type things as well. We sampled everything. Everything was, well, incredible. It's almost worth the 3-4 hour drive to Essex just to have breakfast---it is that good. And, of course, we sampled some desserts, too, and everything was absolutely top notch. If you are anywhere within a 1000 mile radius of this place, make a reservation and make the trip. 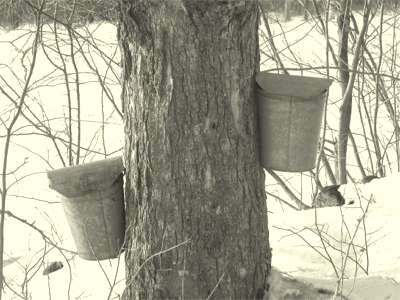 And, of course, they use real maple syrup. View from Jerry's back deck - Jerry, Ken M., and Ken L.